Vandex waterproofing products, including BBA certified Vandex BB75 and BBA certified Vandex Super, are now available from Triton Systems. The introduction of these two ‘Type A’ cementitious waterproofing systems to Triton’s range will enable specifiers to source, from a single point of supply, all the waterproofing materials they need for projects where a BBA certified, combined waterproofing system is required. 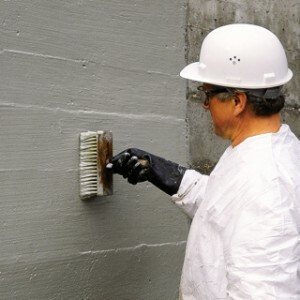 Vandex BB75, a ready mixed slurry coating, is designed to waterproof vertical and horizontal concrete and masonry substrates, including awkward areas in vaults and cellars where a cavity drained system would not be appropriate. Vandex Super is an ‘active’ formulation, designed to waterproof foundations, slabs, lift pits and construction joints by combining with the free lime and moisture present to form insoluble crystalline complexes that block capillaries and minor shrinkage cracks. Other Vandex products, including elasticized slurries and repair mortars, will also be available through Triton from now on.